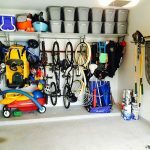 82% of homes have a garage that is at least a two-car garage, yet only 15% of people park their cars in them, according to the National Association of Home Builders. Could there be a better use for yours? 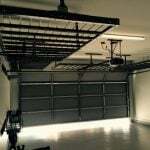 The garage home office is a trend that was becoming popular in the late 90s as computers became a more central way of life. Years later, with so many people working from home and telecommuting, this is not so much a trend as a way of life. Many employers even offer (and encourage) work-from-home or “satellite” days. This is an appealing prospect to most people, until they realize that they don’t have the same level of concentration (or privacy) working from the kitchen table or the coffee table in front of the TV that they do in a typical work environment. Converting the garage into a garage office to make a separate and secluded space for work is not only a good idea in the digital age, it’s nearly a must to get anything done. 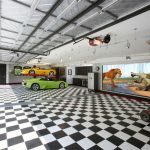 If you need your garage for storage or your vehicles, consider raising the roof (popping the top) and adding a garage office above your existing garage. This can be a good solution to balancing time at home with earning a paycheck. Adding a home office or workspace above your garage will also increase the value of a home without changing the floor plan. Plus, construction can take place without interrupting your normal family dynamic since none of your existing home will be under construction. 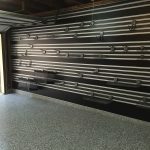 Need to find a pro for your Garage Remodel? 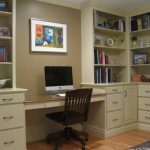 If you think you garage is the perfect candidate for your home office space, here are some ideas to consider as you move down this path. Step One: Consult with remodeling experts. 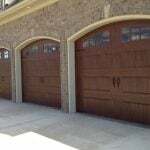 Before you decide on expanding your garage, consult with a building contractor or structural engineer. 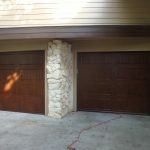 Some garages may need extra structural support before they are able to accept an addition. Others might be build-ready, but it’s best to let the pros figure out which one yours is. Use an architect to help with the addition plans. They can add aesthetically pleasing elements without sacrificing the structural integrity of the building. Step Two: Keep the garage’s design intact. Rather than building a two-story box, add dormers and sloping roof lines to dress up the exterior of the addition. Have the designer match the addition to your house. The addition should look as though it’s an original element of your home’s design. Step Three: Explore your interior options. If the space can also be used as a children’s playroom or sitting room when you’re not in there working, built-in storage shelves or cabinets can help reduce clutter and keep the room organized so that your workspace doesn’t become a warzone while your back is turned. 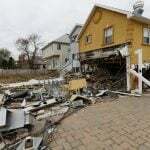 Plan for plenty of electrical outlets and additional phone lines. It is less expensive to put extra electrical lines in before the drywall is installed. A pricey, but worthwhile option is to install plumbing in the addition. This will increase the value of your home and allow the room to be converted into a mother-in-law apartment or for use as a rental unit. Step Four: Don’t forget the connection. If your budget allows, consider having a covered walkway or bridge built to tie the addition to your home. The architect should pay special attention to outside stairs. A mismatched staircase can interfere with a good building design. 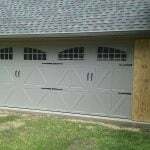 Also, look at the existing garage door. 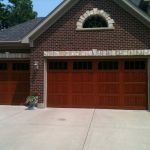 If it is a basic metal door, replacing it with a wood garage door will dramatically change the look of the addition and give it the look of a very substantial home addition.